The title might seem a little too scary. But you totally don’t have to be scared when it comes to photography tutorials over here at this little site of mine. Because my tutorials are just not difficult. Maybe because my thinking doesn’t get difficult (uh-oh). And so here I have another simple yet effective tutorial for you. Here is the original picture with no editing at all. And here’s the same picture, after I’ve made some Level adjustments. As you can see, there’s more contrast in the picture, the colors are richer, the shadows are black and not gray, and the picture is brighter as well. I like that. I like that lot. 1. 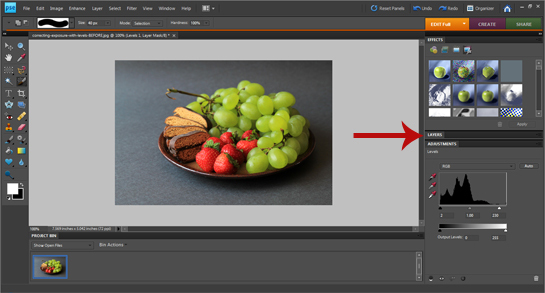 Open the picture in Photoshop with FILE -> OPEN. 2. 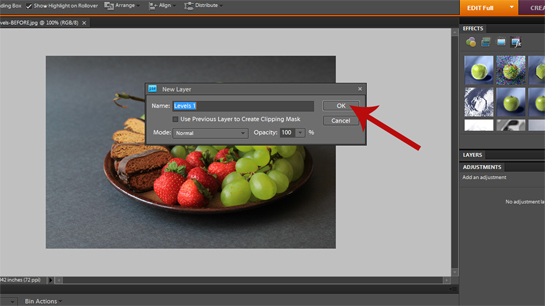 In the upper menu bar go to LAYER -> NEW ADJUSTMENT LAYER -> LEVELS. 3. This window will pop up. Click OK.
4. 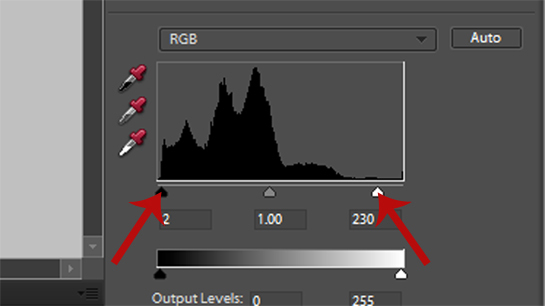 On the right-hand side a so called ‘histogram’ appears. The histogram shows 255 different shades from pitch black to pure white, and how much of the photo has which particular shade. What we want to do now is to get rid of the space where no information (‘black hills’) appear. 5. To achieve that just move the left and right triangles towards the center to where the bulk of the black starts, as illustrated above. 6. Then click LAYERS in the right-hand palette. Then CTRL+SHIFT+E (on PC)/COMMAND+SHIFT+E (on Mac) to flatten all layers into one. 7. Finally, press CTRL+SHIFT+S (on PC)/COMMAND+SHIFT+S (on Mac) to save the picture. And here we have both pictures side-by-side again, before and after. I hope this information will help you to make your pictures even more awesome than they already are. Thanks Petra! 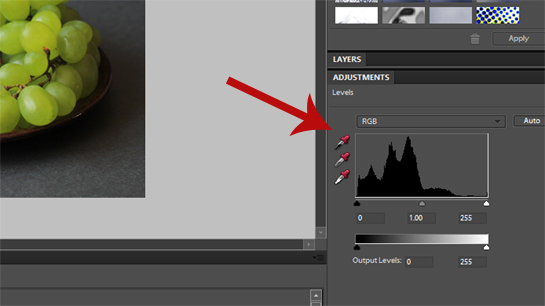 I can really see the difference in your photos and look forward to playing around with this tip. Cheers! What an amazing tip! I’ve already done some sample attempts, and photos I thought were OK are now great! Thanks so much for sharing. I’m so anxious to get home and try this! I love how your image pops after the adjustment was made. Thanks! I’ll definitely have to try this technique. Thanks so much for sharing! 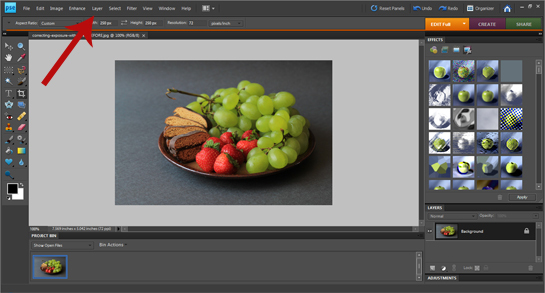 I just got PSE and found your blog googling how to use it with food photography. I am bookmarking your site to help me get started! This is great!